The Perfect Bag For A Weekend Getaway! 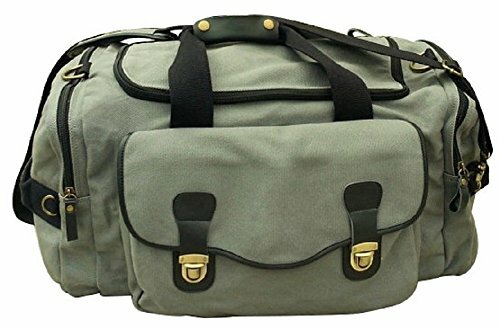 The Bag Features Classic Canvas, Leather Accents And Antique Brass Hardware.The Bag Features 1 Front Zippered Pocket With Flap And Brass Closure And 2 Zipper Side Pockets, Great For Storing Toiletries And Other Travel Accessories. The Bag Also Features 2 Convenient Carry Handles, An Adjustable Shoulder Strap And Leather Zip Pulls. If you have any questions about this product by MODERN CELEBRATIONS, contact us by completing and submitting the form below. If you are looking for a specif part number, please include it with your message.